Losugen and its parent company Tega Industries have a database of 5000 conveyors and chutes with detailed record of their problems and their solutions. The in-house Research and Development team has assimilated this knowledge and effectively leveraged available technologies and software to come up with design solutions responsive to the market needs. 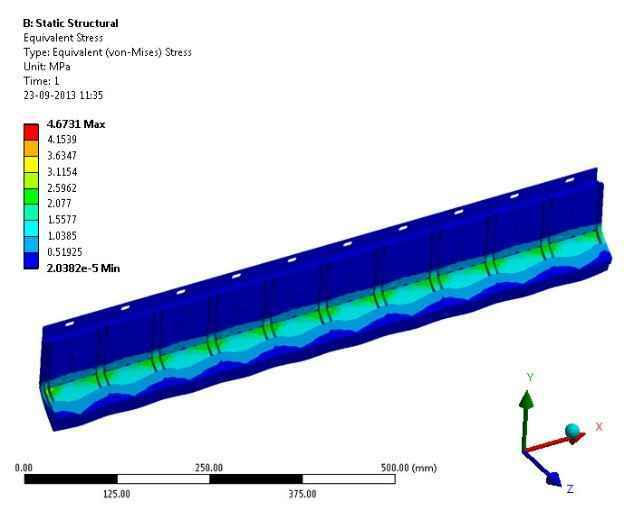 The design team in Losugen Conveyor Products undertakes the following activities. At Losugen, our history of relevant experience and technical competence provides a systematic approach to improve the efficiency of your operations by reducing both direct & indirect operational costs and further solving complex material spillage issues. 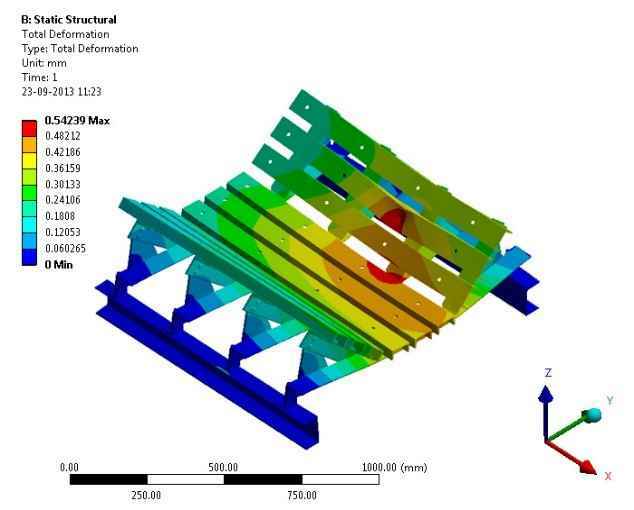 Our trained team can recognize the visible as well as non-visible factors that cause the material spillage and then provide the solutions & superior engineering products through our SMP program. Losugen’s philosophy is to provide Total Solution for Spillage-free, Maintenance-free and Power optimized (SMP) conveyor system to benefit customers through reduced down time & operation cost and increased productivity. 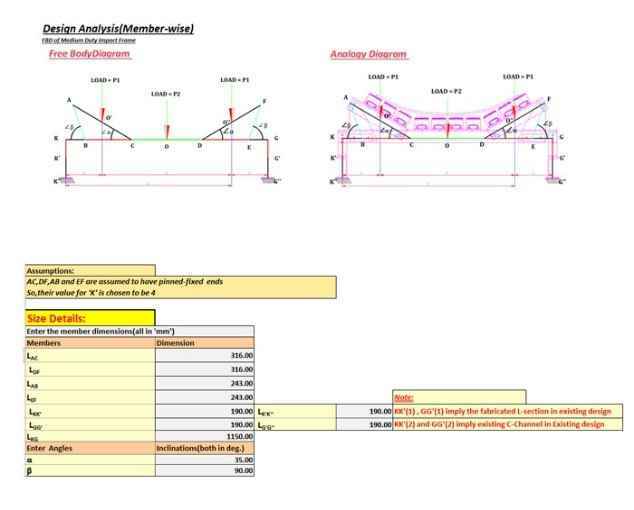 Conveyor Audit for Spillage control: Achieving a “Zero Spillage” Conveyor system is not an easy task. The challenges are never-ending. Support for Installation: Achieving the highest performance from the conveyor accessories begin with research and development team at our parent company TEGA and it continues with quality Tega Losugen manufacturing at India, South Africa, Australia & Chile. But the challenge doesn’t end there. 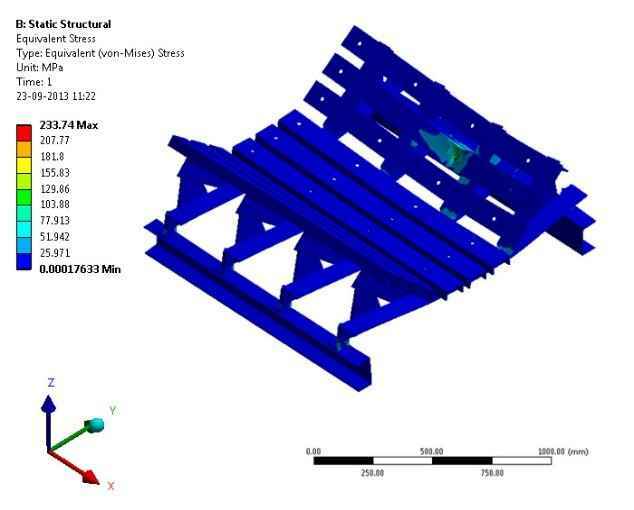 While users of Conveyor systems handling bulk solids agree that product quality is the number-one factor in making decisions about their conveyor accessories, real-world applications show that the performance of those products can be seriously degraded by poor installation. 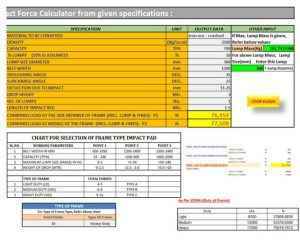 In other words, for maximum performance and reliability, you must give equal consideration to the solution and to the team you select for doing the actual installation. Losugen offers customers access to technical professionals and experts in installation of conveyor accessories. Extensive technical training and support is available, to make necessary modification in the conveyor system that may be required during installation & commission of the supplied products. After Sales Support: This encompasses regular check-up and necessary adjustments of the products installed. 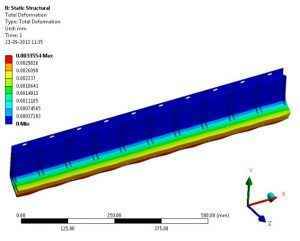 This includes providing regular feedback on wear pattern and forecasting the spares required for replacement including replacing the spares as and when needed. Training : We at Losugen are totally “CUSTOMER FOCUSSED”. Customer focus is NOT simply a matter of providing outstanding product & service in response to a customer’s stated needs. We keep our customers updated on the new developments of the conveyor system & accessories and train them on the products so that they can get the best out of their equipment, system & processes. 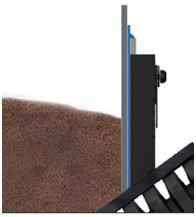 The Friflo Impact Pad is a fusion of three different layers. The top layer is made of UHMWPE – for smooth gliding of the conveyer belt. The middle layer is a made of rubber – to cushion the impact load, while the lower layer is for fastening impact pads on the support frame, which is usually made of aluminum. This is a pad with ‘H’ type reinforcement and clamping of this pad is done with ‘H’ type aluminum clamps, hexagonal headed bolts, nylock nuts & washers. The ‘P’ type pads do not contain any reinforcement & is clamped with ‘P’ type aluminum clamps, hexagonal headed bolts, nylock nuts & washers. This pad having ‘T’ type reinforcement and clamping is done with square headed ‘T’ bolts, Nylock nuts & washers. Support Frame / Cradle: Support frames are designed to suit a wide range of applications for impact pad. 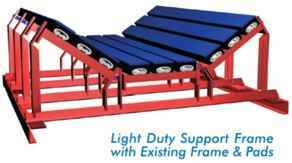 In low or negligible impact areas light duty support frame is provided. Installation of impact pads to be done on existing idler frames, using only a retrofitting support base. 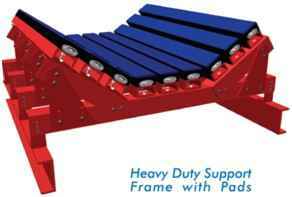 In areas where the impact load on the belt is not severe, the bolted type adjustable medium duty support frame is provided. The heavy duty sturdy pads are fixed over an equally robust heavy duty bolted type adjustable support frame to absorb high impact load. 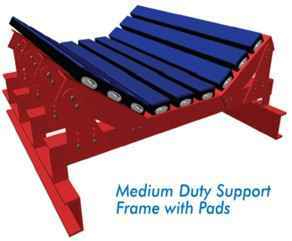 For extra heavy duty and custom designed support frames are also available on request. 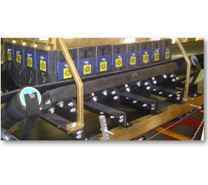 The Losugen’s innovated SPILL-EX skirt sealing system is simple yet effective in making conveyor loading stations completely spillage free. 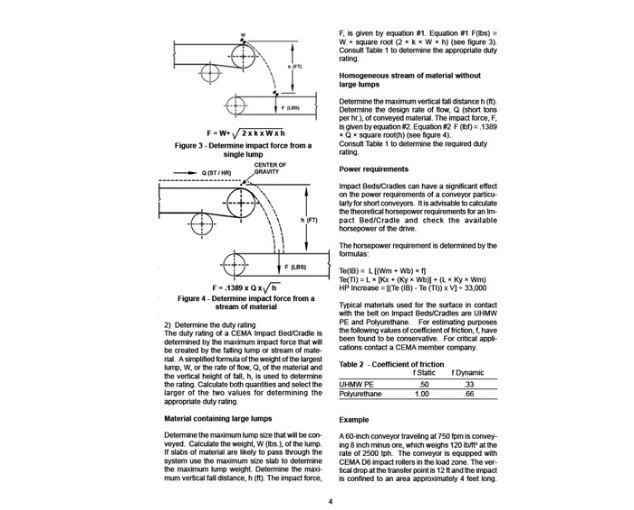 Skirt sealing is generally provided on both sides of the skirt board; however, for conveyors that are inclined upwards or for those handling fines, sealing of the rear of the belt is necessary. 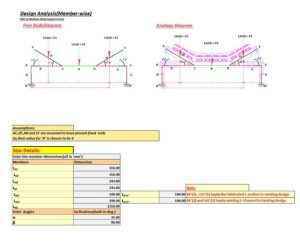 Rear skirt sealing is provided with a fixed length backing Skirt plate that is based on belt width. 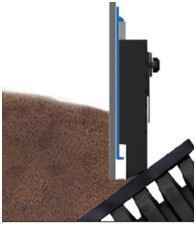 The height of the rubber blocks are 100 mm more than the standard size of the side skirt sealing to compensate for trough height. 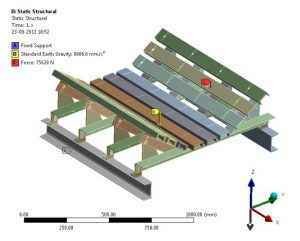 To order, select the options mentioned here to suit specific conveyor application. 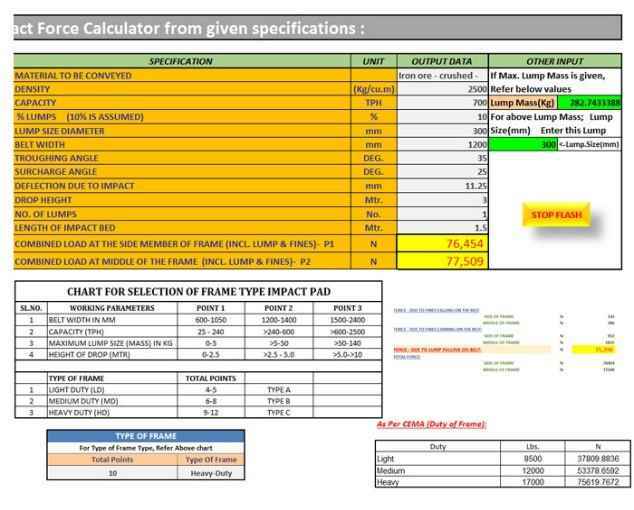 In case your order does not specify these details, supply will be with Standard Model Backing Plate of Type L, using carbon Steel material and Rubber Blocks. It is used in normal conditions where lump size is more than 30mm. The construction of ‘L’ type backing plate is shown in the image. This type of backing skirt plate consists of an ‘I’ shaped plate. 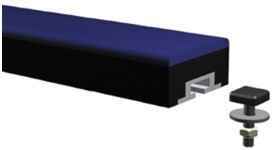 It is suitable for conveyors with lump size less than 30mm and where tonnage of conveyor belt is high, ‘I’ type backing plate should be used as shown in the image. In this type the backing plate is ‘Z’ shaped. 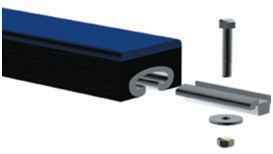 This type of backing plate is suitable for flat belt conveyors and for conveyors with divergent type of chute. 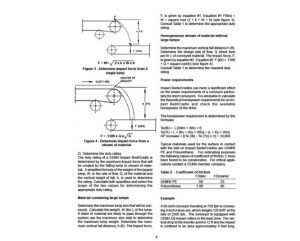 Lagging of the conveyor pulley is essential to improve conveyor belt performance. 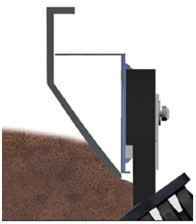 The use of lagging reduces belt slippage, improves tracking and extends life of belt, bearing & other components. Losugen Ceramic Pulley Lagging is especially suited for pulleys with slippage and excessive wear & tear problems which make normal rubber lagging ineffective. Losugen ceramic pulley lagging is widely used on the drive pulleys and can also be used on snub, bend and tail pulleys. This innovative new product incorporates square ceramic tiles with unique circular nubs which help in proper grip of the belt under wet muddy or any such arduous conditions. CN Bonding System : This extra layer of specially developed rubber at the bottom of ceramic pulley lagging ensures higher bonding strength with rubber to metal surface of the pulley. 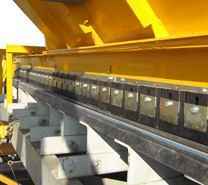 Head, tail, Snub and bend pulley of belt conveyors handling abrasive bulk solids (dry/wet). 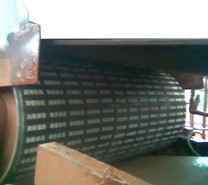 This is installed on the return belt and forms the main tracking for general duty conveyors. 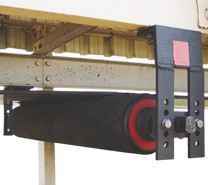 This is also installed on return belt and forms the main tracking roller for special belt which are wide, heavy duty & high speed. This is installed on carrying side of belts and forms a supporting tracking system to augment the effort of main tracker roller. Simple in design with unique sealed pivoting arrangement Maintenance free performance for long period. Tracking done without vertical roll No damage to the edges of the conveyor. Hot vulcanized rubberized outer shell Improved traction with high degree of safety while in operation. Spilt design configuration Easy to install and replace and replace the rolls after it is worn. 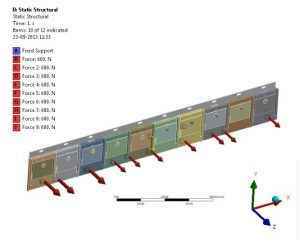 Multiple sealing arrangements Operations on wide range of working environment.